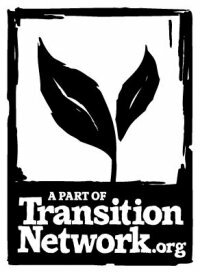 Southend in Transition crew have copies of Transition Free Press available. Donate what you can. There is a story that has sustained us through these changing times: it’s known as The Butterfly Shift and is based on the biological transformation that happens when a caterpillar turns into an imago. At first the immune system of the caterpillar defeats the ‘imaginal cells’ of the new form. Then the cells re-emerge, but this time hold fast by joining forces.The caterpillar is the dominant narrative of Industrial Progress, chomping its way through the planet’s ecosystems, and the governments and corporations who follow the ideology of ‘free market fundamentalism’. “Our economic model is at war with life on Earth,” as Naomi Klein says in her new book This Changes Everything: Capitalism vs. the Climate. It’s also at war with every emerging butterfly that stands in its way. One of the inspirations for Transition Free Press was The Occupied Times and the conversations that many Transition groups were having with local Occupy camps in 2011. The media we wanted to create would cohere the ideas and actions of many different grassroots enterprises under one colourful wing. So true to its original blueprint, our autumn edition of Transition Free Press focuses on the people and communities everywhere who are resisting the assaults of the global caterpillar and at the same time making steps to transform our culture into something completely new. Because, as Klein clearly states: “Climate change isn’t just a disaster – it’s also our best chance to demand and build a better world”. In 2012 Occupy tents were torn down, Transition Initiatives ‘burned out’. We realised that raising awareness and planting radishes in our windowboxes was not enough. We had to start up collective projects in the real world. We had to change the story and use words as they were originally meant to be used: as a medium for connection between us; a reminder of what being human really means. That, as storytellers and change-makers, we need to keep the door open in a time of cultural lockdown. In our sixth issue you can find our signature mix of the practical, political and the philosophical. In line with a renewed push towards climate action this autumn, we’re focusing on fossil fuel divestment and climate activism. We are also showing how the humble acts of fermenting cabbage and saving seeds are also radical acts of liberation, why in the face of increased corporate control we are out digging fields, brewing beer, helping our neighbour, telling our own story, doing art in whatever place we find ourselves. Because it’s not just about listening, it’s also about singing. When you do, you’ll find you are not on your own. We are all out there.